The benefits of Unified Communications (UC) are undeniable for both small and large businesses. 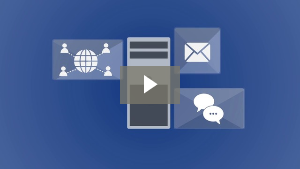 With one communication platform, you get email, instant messaging, video conferencing, voicemail, and Voice over IP. If used correctly, you can significantly improve collaboration and productivity. Before you dive headfirst into a UC platform, however, it’s important to have a good understanding of your communication needs so you don’t go over budget. UC costs are often difficult to quantify, as deployments may vary among organizations. Some may prefer instant messaging, while others choose to purchase extra telephony devices. To help you get an idea of how much you should set aside for UC, here are the different components you have to consider. The first thing you have to purchase is the hardware elements required to run your UC system. This may include routers, server hardware, and session border controllers. On top of that, employees probably require new devices to utilize the VoIP and video conferencing components of the UC solution. Expect to pay at least $20 for webcams, $8 for headsets, and around $100 for a standard IP phone. After the initial hardware investment, anticipate various software expenses such as client applications, upgrade licenses, and email domains. Then, consider the monthly fees for software maintenance such as bug fixes, updates, and network monitoring. Costs can vary depending on your provider, so to control spending make sure to assess your partner’s service-level agreements to check whether they provide UC deployment and maintenance at a price you can afford. Communication needs can change; as such, you should have enough in your budget for add-on UC services and custom solutions. For instance, let’s say you have an increasingly mobile workforce. To maintain employee collaboration, you need to purchase extra UC components like document-based collaboration and mobile device management applications. Bandwidth costs rise regardless of which UC system you purchase. Video chat in particular will drive up bandwidth usage for desktop and mobile devices. In fact, to be able to run a video conference at high resolution with minimal frame latency, you need at least 7 Mbps per user. Although internet service providers charge different rates per Mbps per month, it’s plain to see that costs rack up as you hire more employees. As network usage increases, you need more bandwidth to ensure call quality and cloud performance are running at peak condition. Every application, network, and device must be secured to ensure data confidentiality and integrity, and UC is no exception. Without specialized perimeter security for your VoIP network, hackers are free to listen in on your conversations and steal valuable data. Apart from this, you also need intrusion prevention and endpoint protection systems. Therefore, you will undoubtedly incur costs to install and maintain business-grade security. For businesses in specific industries, there will also be new costs to meet data regulations like HIPAA or PCI-DSS. UC introduces new ways of getting work done, and to truly benefit from your investment, your entire company must embrace change. This means you need to devote time and resources to teach your staff how to use the system, promote best practices for UC security and privacy, and encourage sustained usage. You can do this by organizing regular training seminars within the first three months of your UC deployment. When you add up the costs, UC may seem like an expensive solution, but it doesn’t have to be if you partner with a trusted managed services provider. Rather than managing UC by yourself, MSPs offer flat, pay-as-you-go subscription monthly subscription fees. 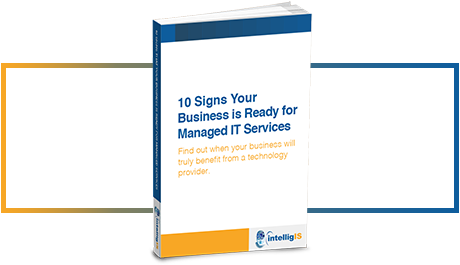 This means everything -- including installation, maintenance, and security -- is managed for you, helping you keep your IT expenses under control. Here at IntelligIS, we provide high-quality UC solutions at affordable rates, allowing you to do more with less. Simply contact us today at www.intelligis.com to learn more about our services!